Stock #P1788. 24 month lease with 5,000 miles per year. 10% cash or trade due at signing. Excludes first payment, tax, acquisition, title, registration and fees. See dealer for complete detail. Stock #P1782. 39 month lease with 5,000 miles per year. 10% cash or trade due at signing. Excludes first payment, tax, acquisition, title, registration and fees. See dealer for complete detail. Stock #P1803. 39 month lease with 5,000 miles per year. 10% cash or trade due at signing. Excludes first payment, tax, acquisition, title, registration and fees. See dealer for complete detail. When you want to get behind the wheel of a sports car that’s the pinnacle of luxury, there’s no better place to turn than our Porsche dealership in Stratham, NH. Here you’ll find much more than just a stunning selection of new and pre-owned Porsche vehicles; you’ll also discover an incredible team of individuals who make your happiness their business. 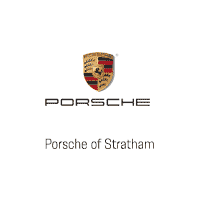 Porsche Stratham is a part of the prestigious International Cars group of dealerships, which makes us an ESOP Company. This means we’re employee-owned, and you’ll find a higher caliber of customer service in our dealerships than you would elsewhere. Visit us today, and see how deeply committed to our clients we are. Whether you’ve been combing online inventories in search of your dream car or you already know exactly which new Porsche you’d like to buy or lease, we’re pleased to assist you at our Porsche dealership near Newburyport, MA. Come to us and you’ll find a brilliant selection of sophisticated new Porsche models, as well as plenty of used Porsche cars, too, if that’s more your speed. Take a look at our breathtaking Cayman models or learn how the new Porsche 911 sets a higher standard. Get behind the wheel of a new Porsche Cayenne, and discover a luxurious haven spacious enough for a family, or perhaps the Panamera is more what you’re searching for. Our sales team will set you up with a test-drive at your earliest convenience. Once you’ve made your decision, just chat with our team of Porsche finance specialists and they’ll come up with a financing plan customized just for you. We’ll want to ensure your prized Porsche continues to perform its best for many miles and years to come. In order to do so, you’ll want to return to our Porsche service center near Hampton Falls, NH, regularly for routine maintenance visits. We’ll take care of everything, including your oil changes, tire rotations and any other service your car requires. Additionally, we can order OEM Porsche parts for you if you ever need a component replaced. Make the drive to Porsche Stratham, conveniently located at 60 Portsmouth Ave in Stratham, NH, today! We’re just a short drive away from Portsmouth, Manchester and Bedford, and not too far from Boston. We look forward to working with you. My husband and I purchased a 2014 Porsche Cayenne a few days ago. Our sales person was Jocelyn Regan - she was extremely knowledgeable and trustworthy!!! Jocelyn went beyond the call of duty and treated us with the upmost respect and patience. This is our first Porsche so I had a ton of questions and concerns. In fact, everyone was extremely helpful. I would give everyone a big thumbs up and a boatload of gratitude.